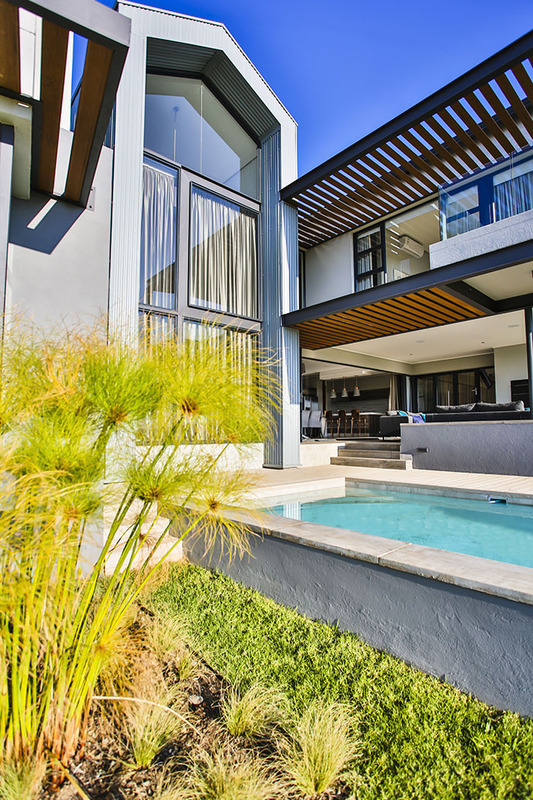 Bordered by the majestic Magaliesburg mountain range and the ever-green lawns of a manicured golf course, Copperleaf Estate plays host to the multilevel entertainer’s dream that is Residence Bwanya. 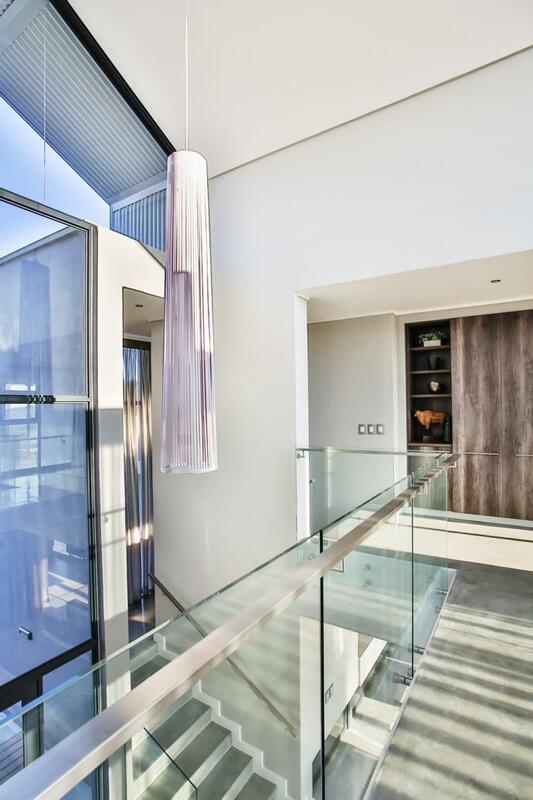 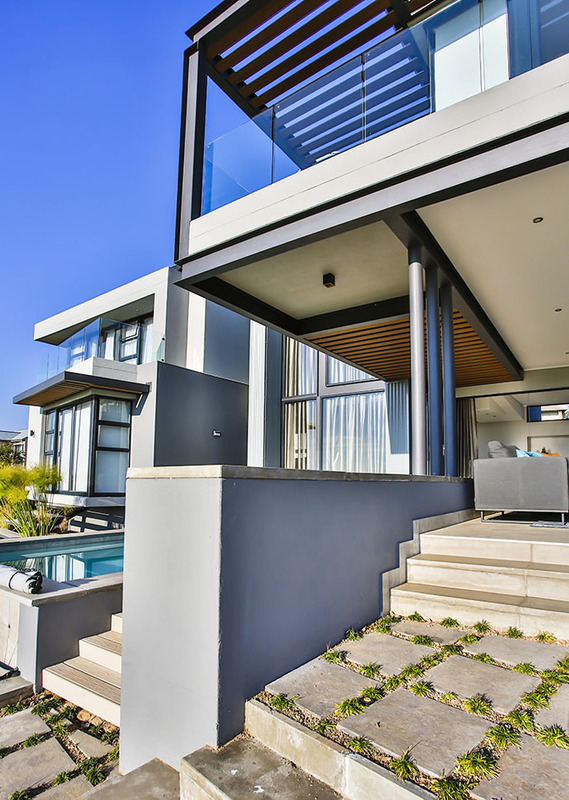 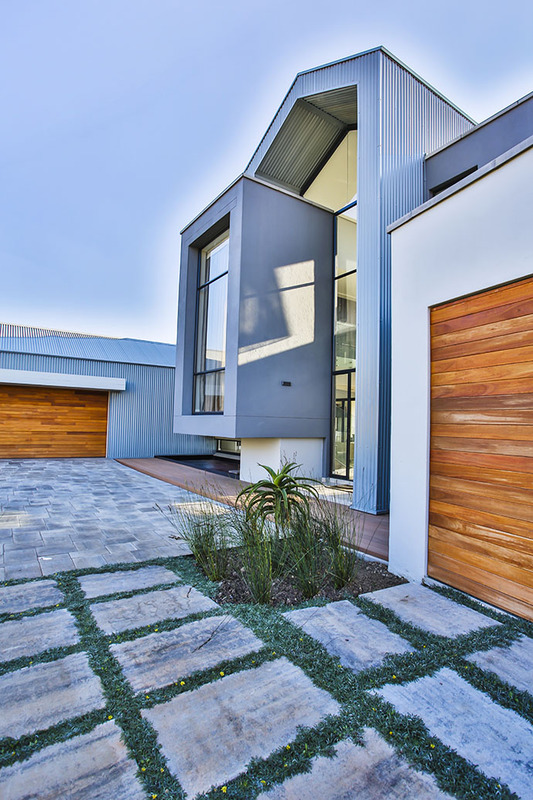 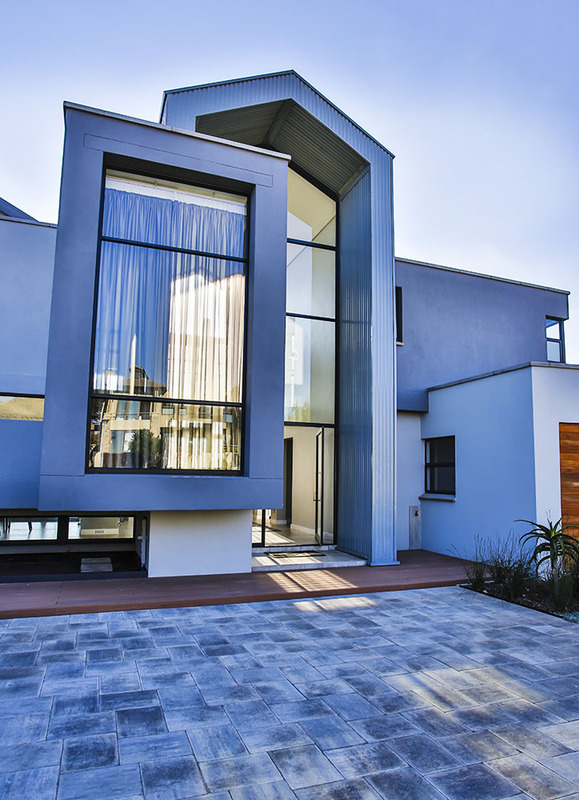 Located in suburban Pretoria’s Mnandi, Residence Bwanya fully embodies contemporary luxury. 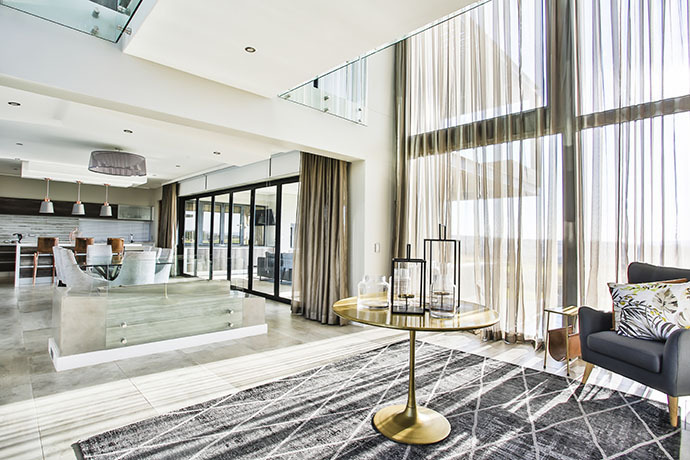 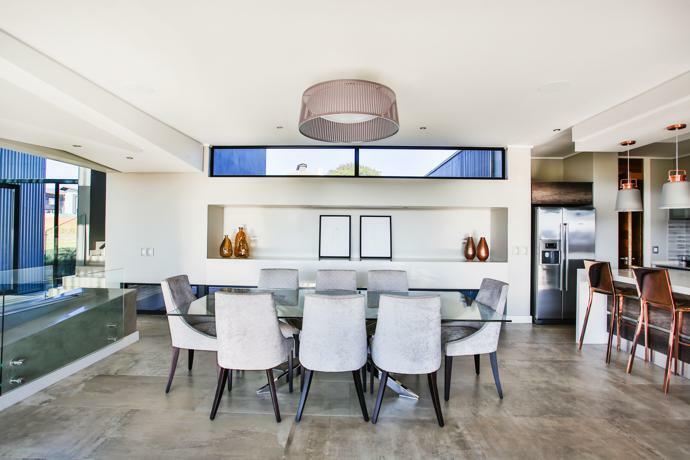 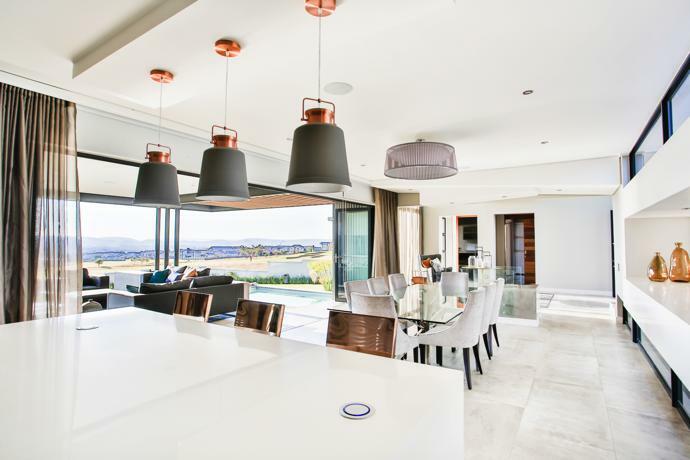 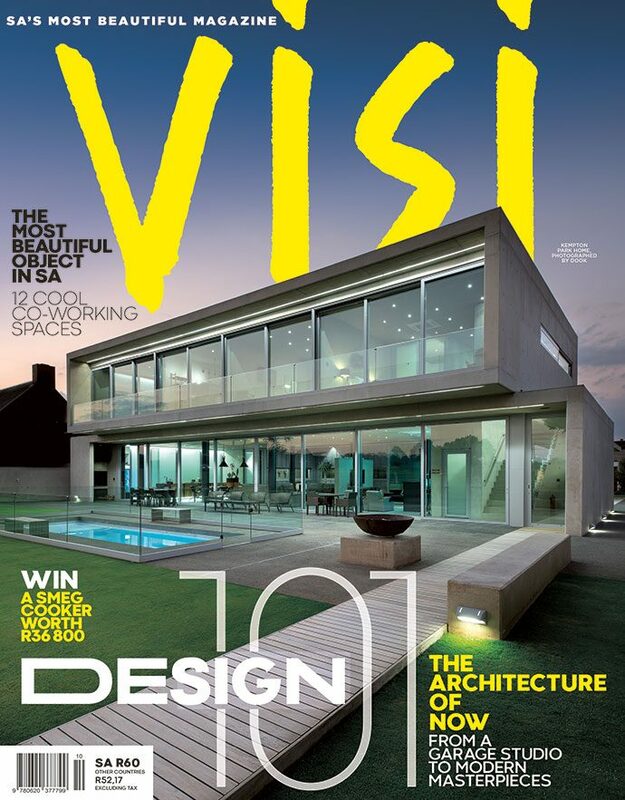 Designed by Pretoria-based architectural artistry studio SL Architects, the brief asked for “a welcoming and open house” that could easily play host to extended family visits while simultaneously offering privacy to the homeowners. 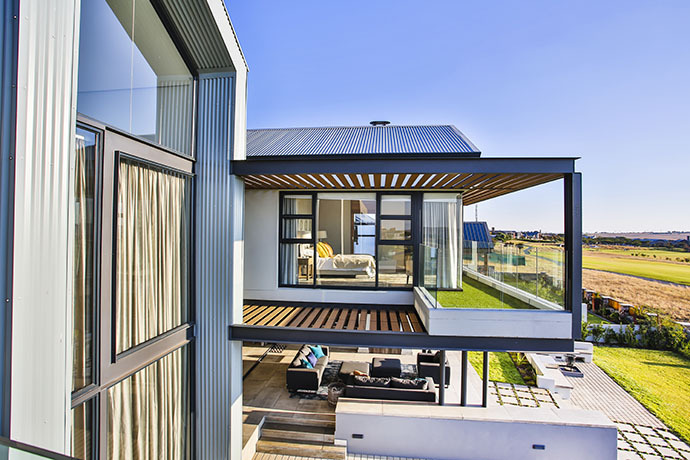 A grand entrance façade offers a picture-frame view straight through the house onto the rolling greens beyond. 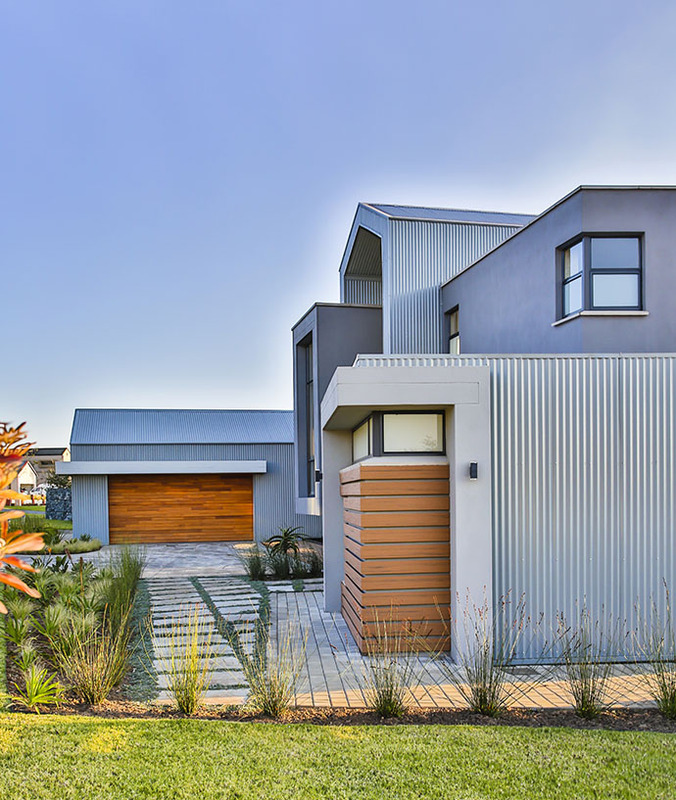 A slight slope on the north side ensures that the house is raised above the public path while creating an ideally elevated space to welcome the ever-important pavilion view. 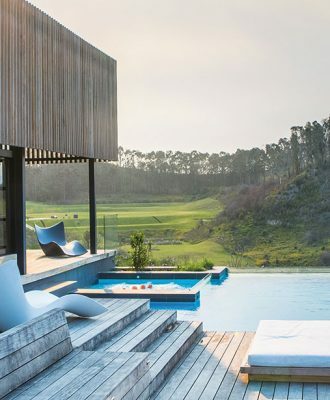 Panoramic scenes can be enjoyed from the dual-level garden and expansive entertainment area that gives way onto the infinity pool. 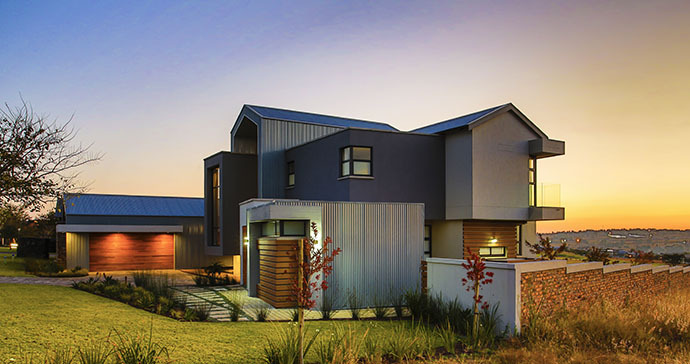 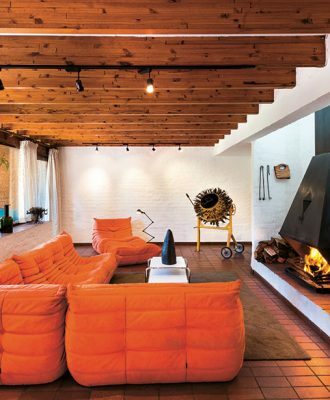 A double-volume, farm-style gable with a contemporary design frames the awe-inspiring garden. 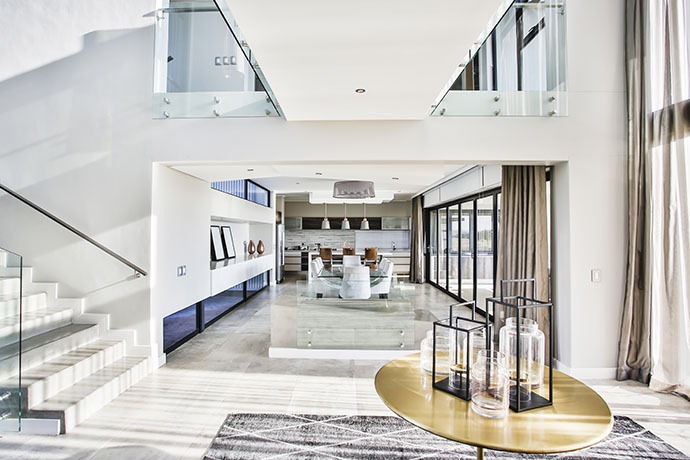 Extensive use of glass and steel within the northern façades creates a floating effect while the use of natural textures and a neutral colour palette allow the breathtaking surrounds to be the focus of this remarkable space. 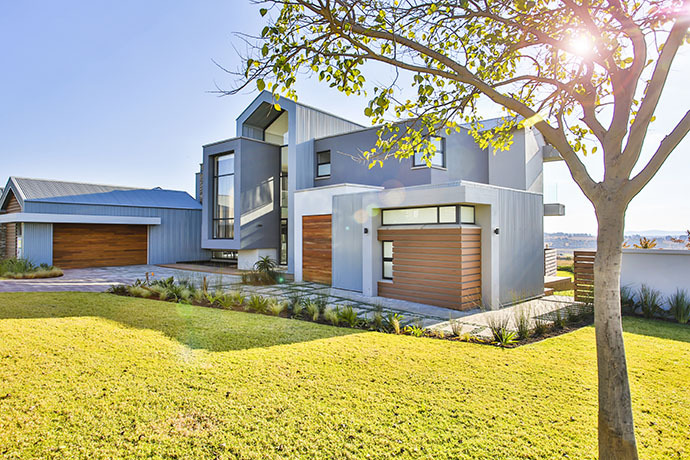 See more architectural projects by SL Architects, here.